This poignant story follows the agonizing trials and tribulations of a vulnerable young girl's journey into adulthood. The best years of her life turn into the darkest of nightmares. The year is 1940. The place is Amsterdam, Holland. The Nazis conquer Europe and are intent on wiping out all of its Jews. 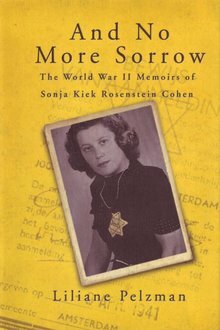 We follow Sonja Kiek Rosenstein Cohen who, born into a warm and loving family, is forced to come to grips with suffering so great, that it was all but impossible not to succumb. At the age of 21 Sonja lost her family, her newly wedded husband and most of her relatives. Her story and survival are set against the socio-political canvas of the times. It is an avid testimony to a period in recent history that did take place and should serve as a warning for generations to come. Please note: this is an English audiobook. Click here for the Dutch-language version of this book. Visit the website dedicated to And No More Sorrow on www.andnomoresorrow.com.